This is the intriguing story of the arduous childhood of a miner's son growing up in the Appalachian coalfields of southwestern Pennsylvania. The brokenness of Terry Wardle's early life led to problems in adulthood that brought him to confinement in a psychiatric hospital. But that was not the end--in time Wardle experienced an emotional and spiritual transformation that began a journey toward greater health and personal freedom. So what does a man whose life was shaped by an often affectionate, sometimes hilarious, and always dysfunctional family have to share with all of us? 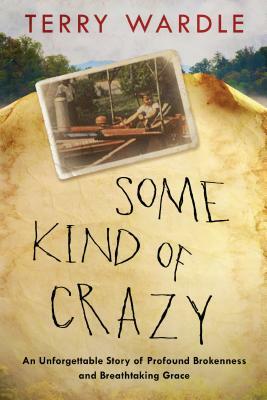 Some Kind of Crazy is alternately, funny, tragic, insightful, and deeply biblical, a riveting book that will lead you to a place where God may touch and heal your own brokenness, whatever form it may take. TERRY WARDLE is a dynamic speaker who leads seminars and retreats designed to equip pastors, counselors, clinicians, spiritual directors, and many others in formational prayer, spiritual formation, and spiritual direction. The author of numerous books and teaching series, he is the founder of Healing Care and HCM International. Professor Emeritus at Ashland Theological Seminary, he also served as executive director of Alliance Theological Seminary. Former vice president of Nyack College, he was founding pastor of Risen King Community Church in Redding, California. He and his wife, Cheryl, currently reside in Ashland, Ohio.